Do you feel like you have trouble finding time to do the things that are most important to you? With all of the distractions of modern-day life, it can be tough to find time to focus and work on your own goals. If you’re like most parents, your to do list is probably endless. It’s a rare occasion when I can truly accomplish everything on my to-do list in a day. As someone who loves to finish things and cross them off my list of things to do, my to-do list was always a disappointment. I felt like it was a growing document that would just never go away. 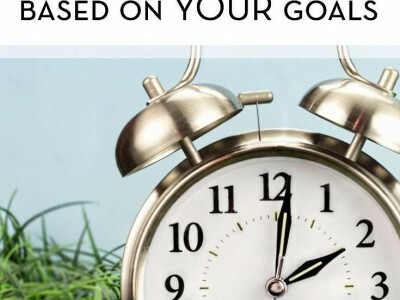 A few months ago, I read a new book about time management for moms, which was written by my friends Sarah Korhnak and Beth Anne Schwamberger of The Brilliant Business Moms. They suggested a technique for focusing on your goals that I found incredibly helpful. They recommend focusing on 5-6 big goals, and letting the other goals go (for now). If you’re working on too many goals at once, you’ll spread yourself too thin. 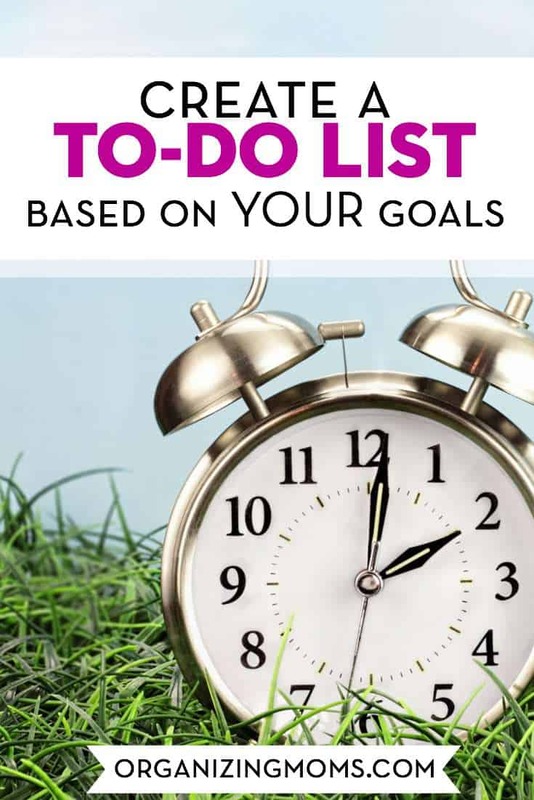 In the book, Time Management Mama: Making Use of the Margins to Pursue Your Passions, they suggest a way to get all of your goals and ideas on to paper, and then pick your most important goals. I was surprised to see just how many ideas and “goals” I had been thinking about. No wonder I felt so scatterbrained! After I chose my five big goals, I decided to work on them a little bit every day. Now, when writing my to-do list, I write a small, manageable task that relates to each one of my goals. 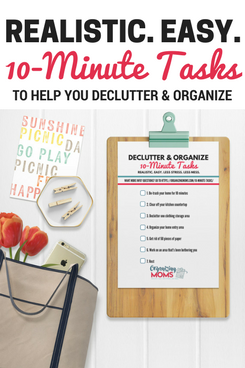 One of the goals is to get our household organized, so I am able to put some of the more annoying household tasks (making calls, setting appointments, cleaning) in the organization category. I use The Brilliant Business Planner to keep track of all of the things I need to remember to do that aren’t on my daily to-do list of five important tasks. I like this planner because it has planning and record-keeping sections for bloggers and Etsy sellers. When I’m making my daily to-do list, I’ll often pull a to-do item from my Brilliant Business Planner. From time-to-time, I have to do a Power Hour to get rid of the nagging tasks that have been in my planner for a while. It’s less intimidating. I only have to do five things each day. Often, something doesn’t get crossed off the list, but I can usually figure out why I wasn’t able to complete the task. When I had a huge, running to-do list, it just seemed like a big failure all the time. It’s more motivating. Everything on the list is moving you closer to your big goals. It’s more compact. You can write it on a post-it note, and then throw it away when you’ve crossed everything off the list. For someone who likes to complete tasks, this is big fun! It helps you to get rid of the “mental clutter.” When I start to feel scattered, I just look at my mini to-do list, and remember that those are the tasks that are important for today. You don’t forget about the important things that are easy to postpone. Making family or relationships with friends a goal means they won’t get lost in the shuffle of everyday busy-ness. What do you do to make your to do list more manageable? Please leave a comment below if you have any ideas for helping parents to get things done!